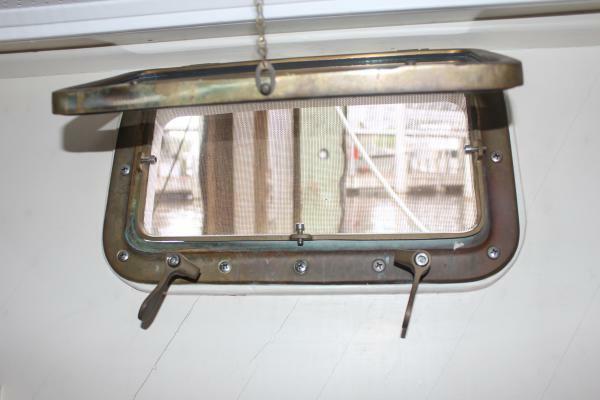 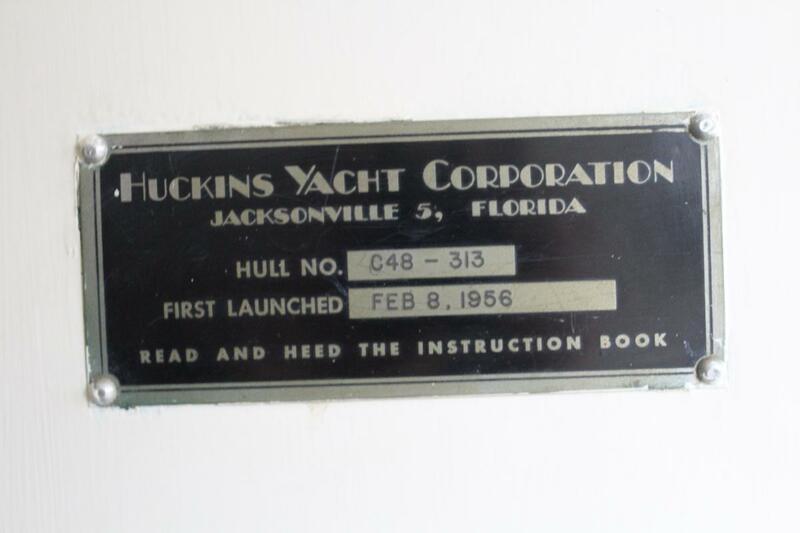 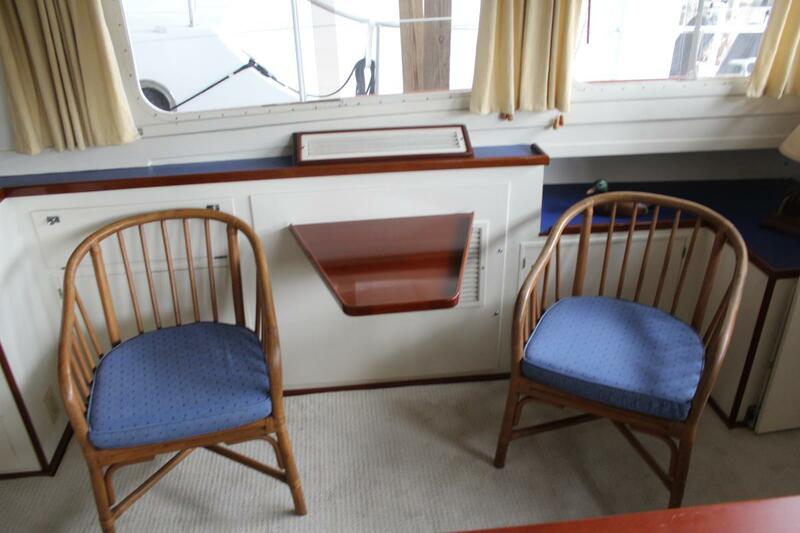 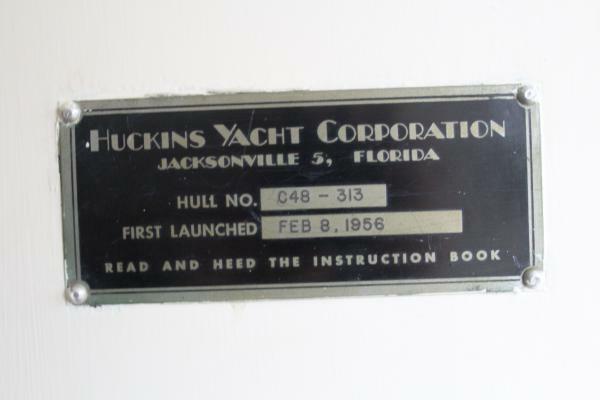 Post war Huckins two stateroom model under 50 feet in length. 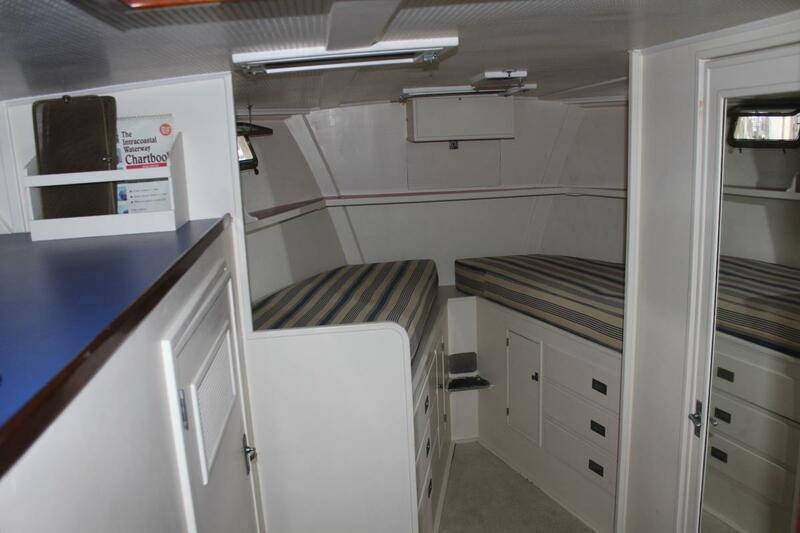 Two spacious staterooms with en-suite head compartments and stall showers. 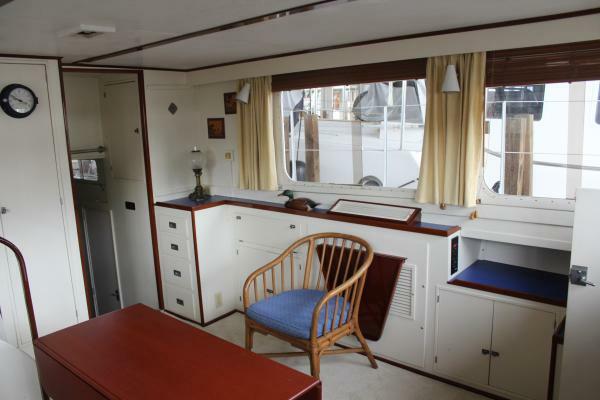 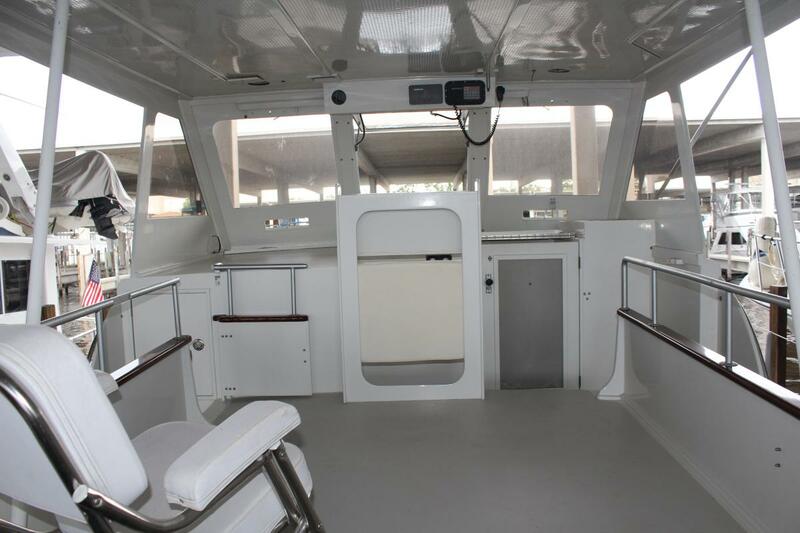 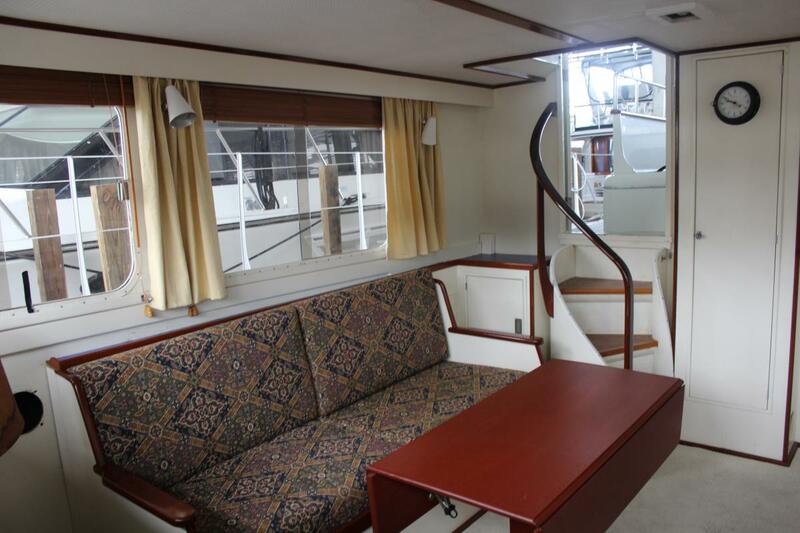 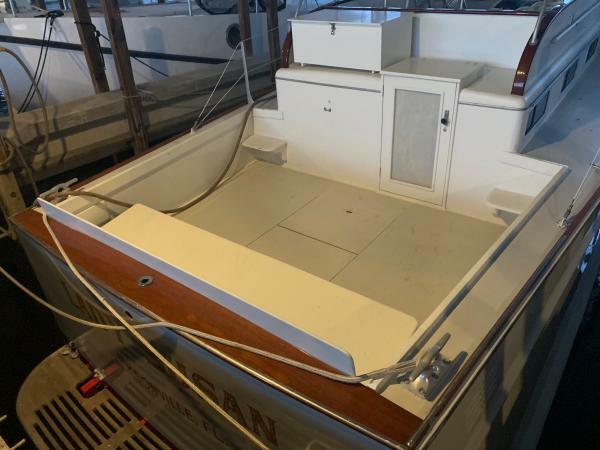 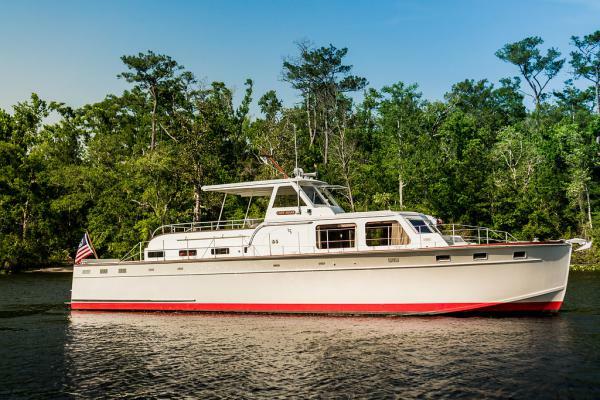 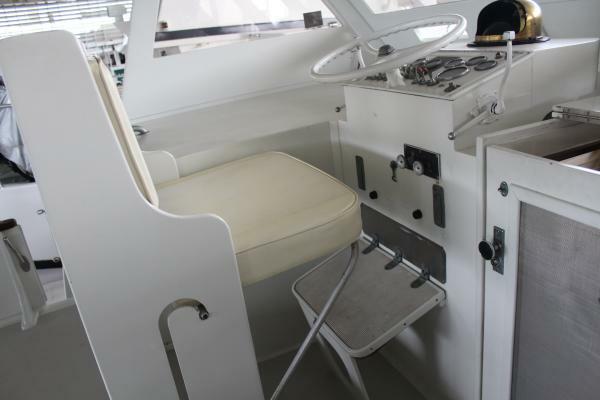 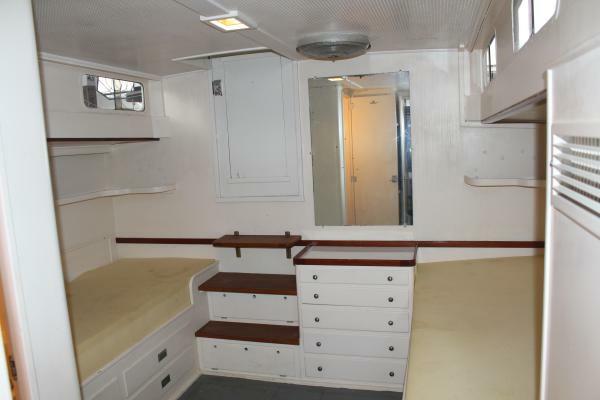 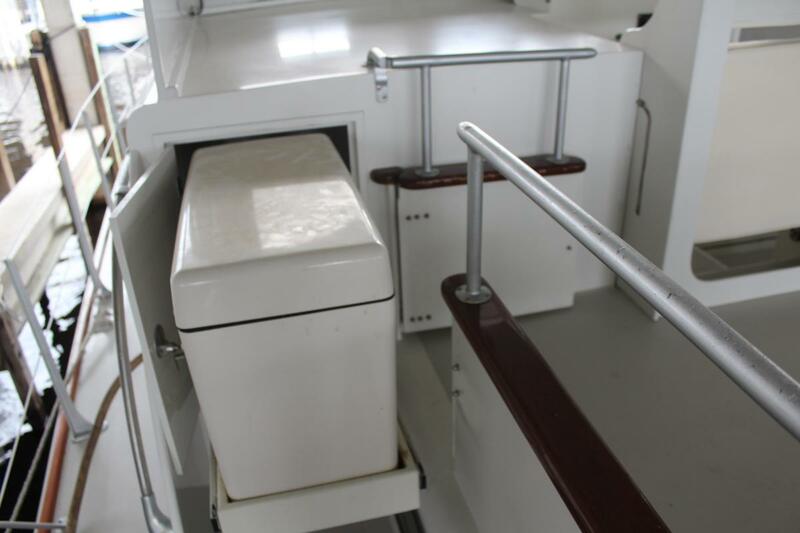 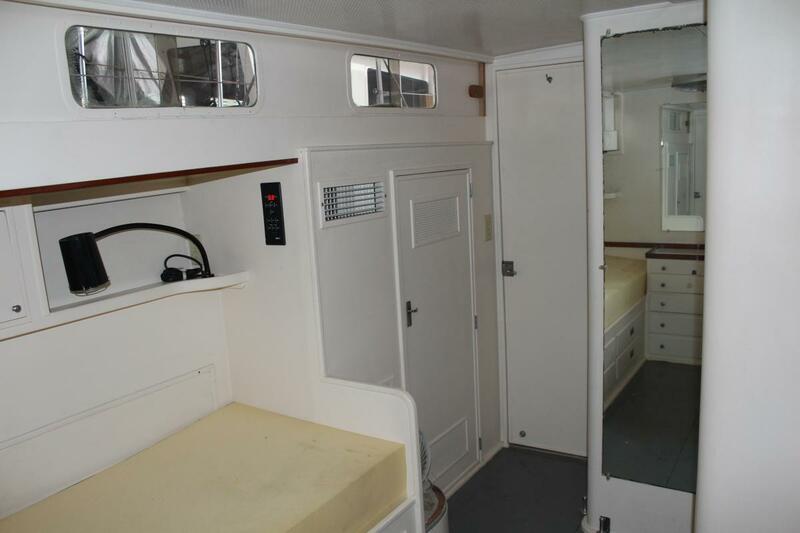 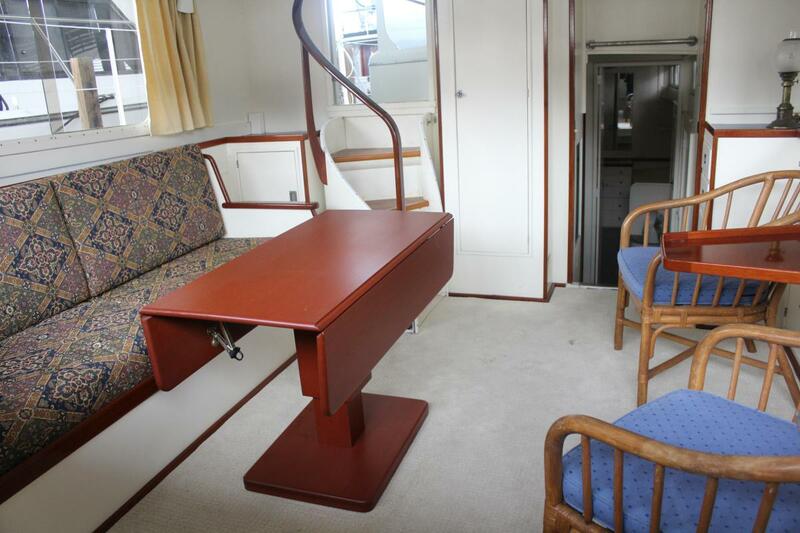 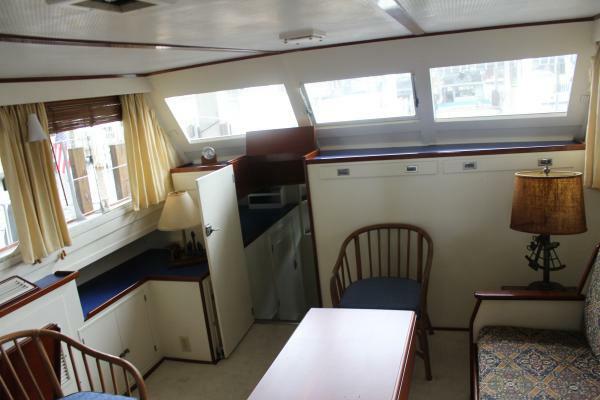 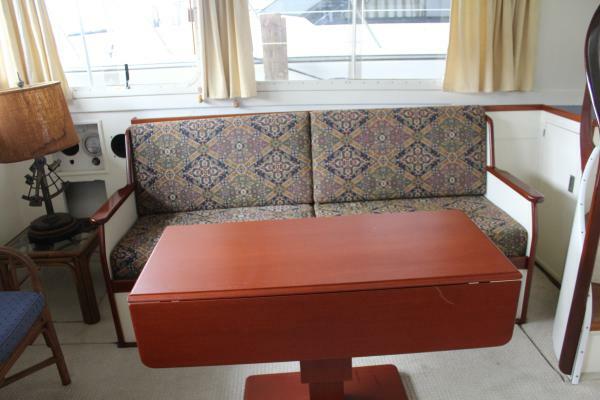 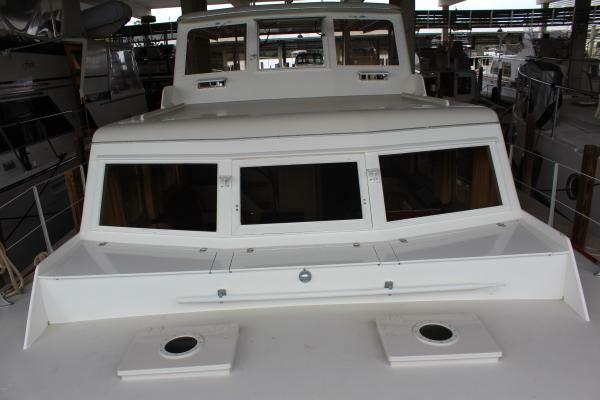 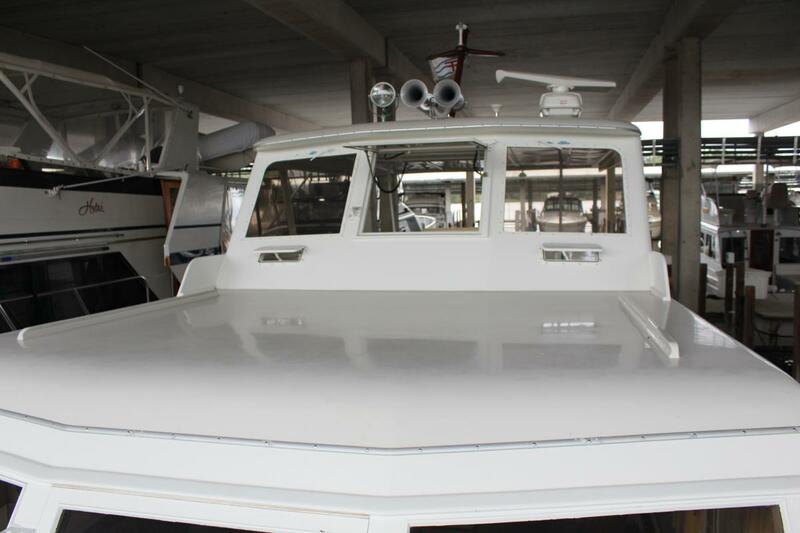 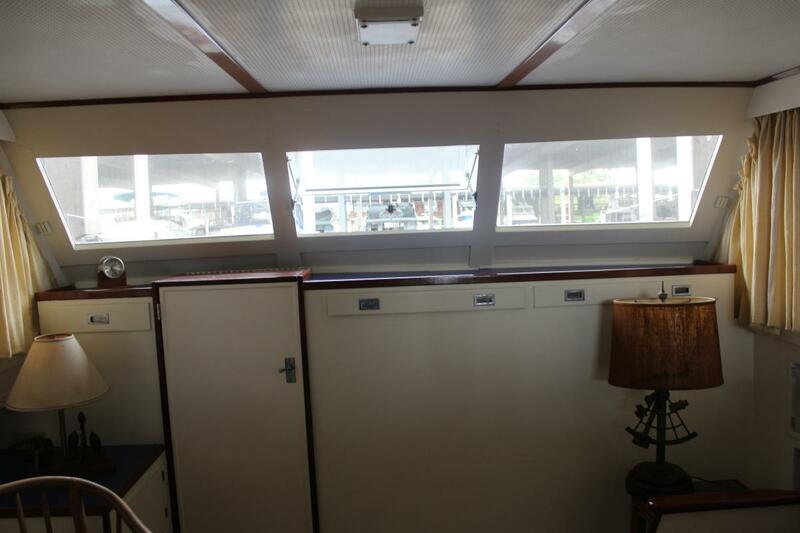 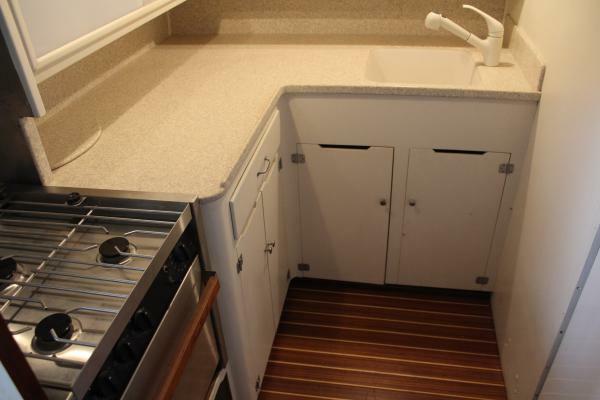 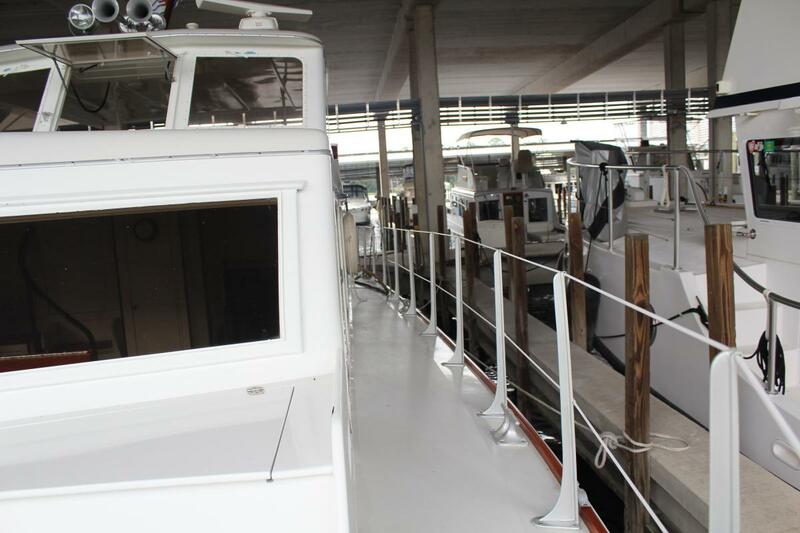 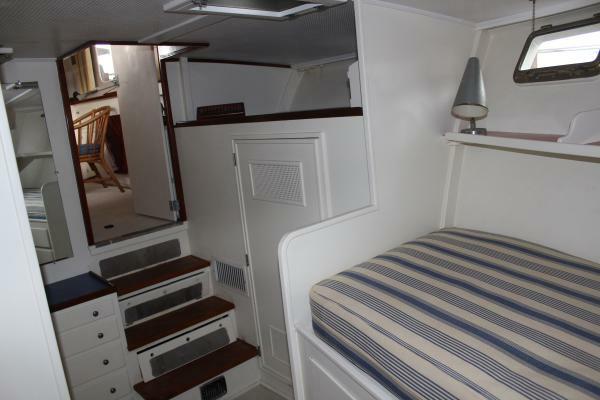 Very comfortable deckhouse/salon with full galley aft on lower level (Corinthian model). 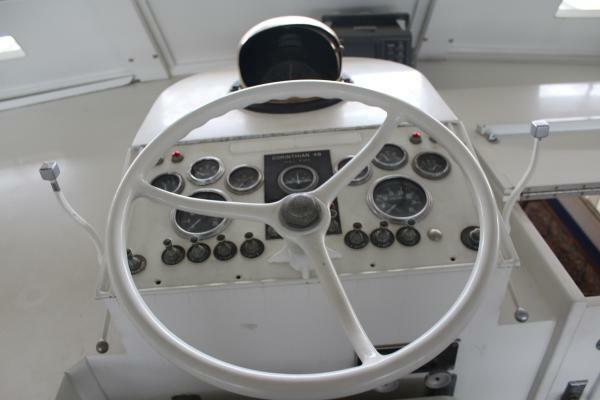 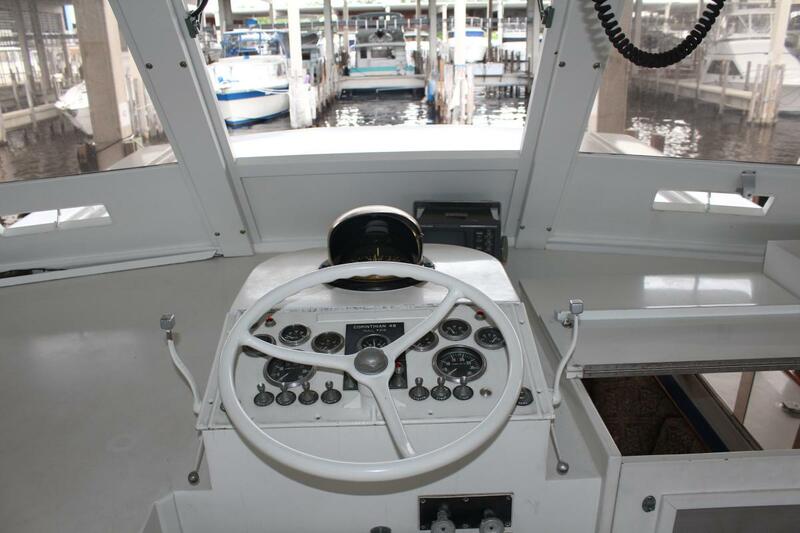 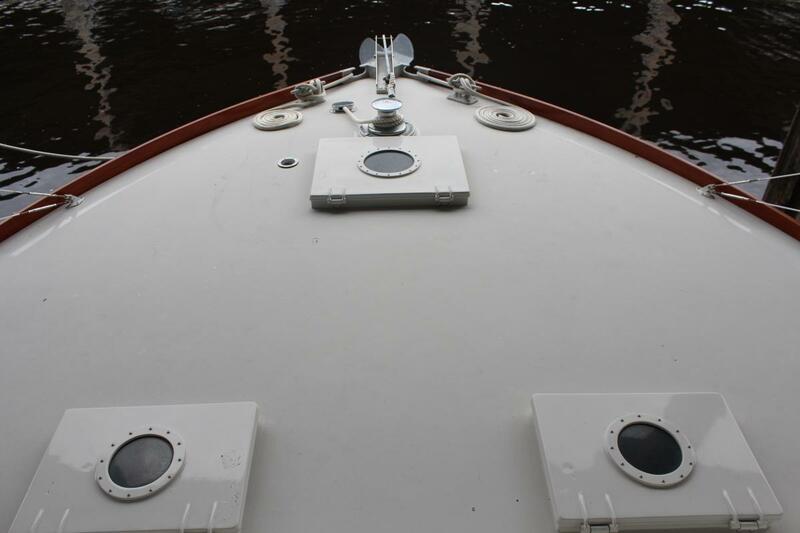 Centerline helm, open bridge deck and stern cockpit. 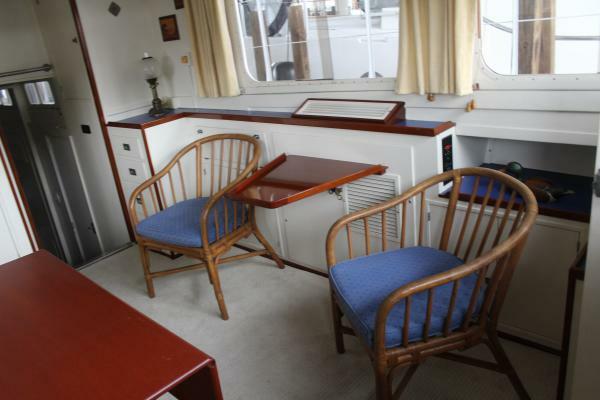 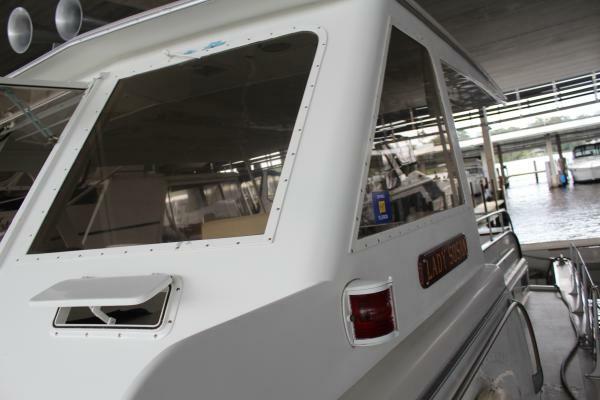 Hull is double diagonal planked Philippine Mahogany bonded with resorcinal resin and sheathed in 20 oz. fiberglass cloth set in epoxy, by Huckins Yacht in 1968. Similar to cold molded construction today. 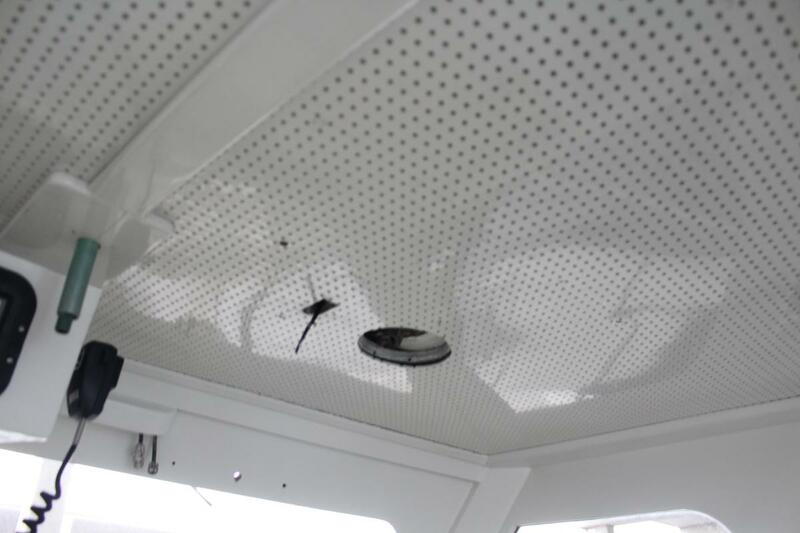 All decks and cabin tops are sheathed in 10 oz. 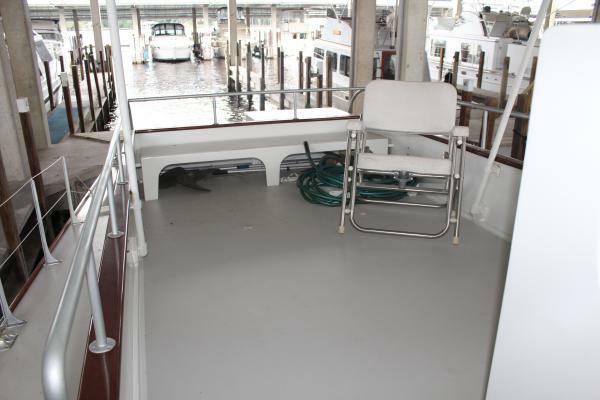 fiberglass cloth set in epoxy. 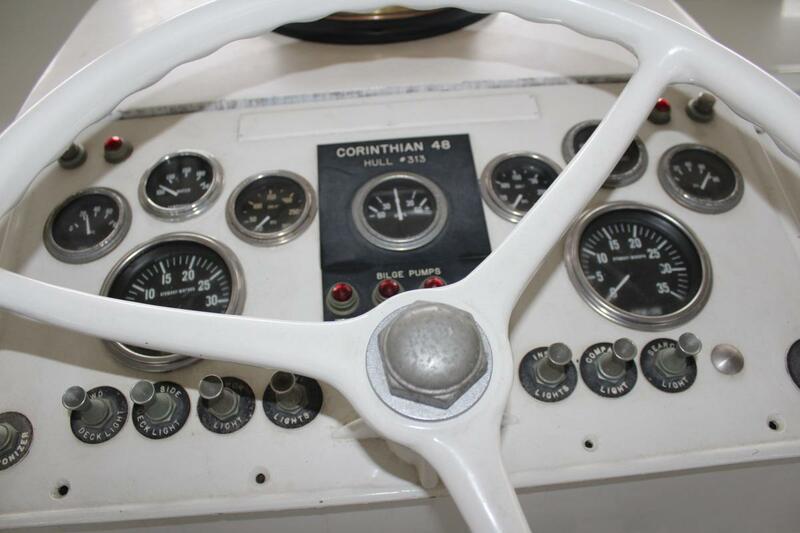 Restoration included new tempered glass and tinted windows throughout, new Newfound Metal port lights (6 finished), new mahogany toe-rails finished bright, new anchor pulpit, cockpit rebuilt with Nida Core. 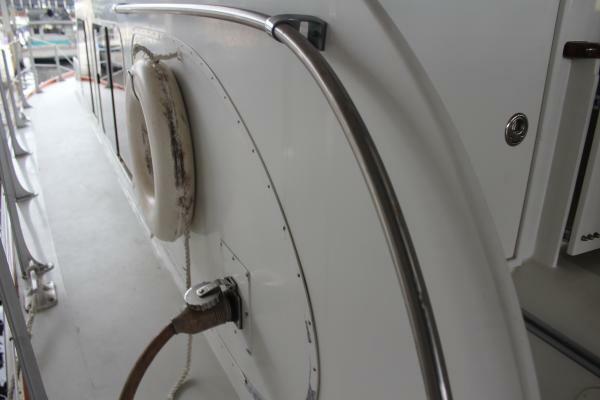 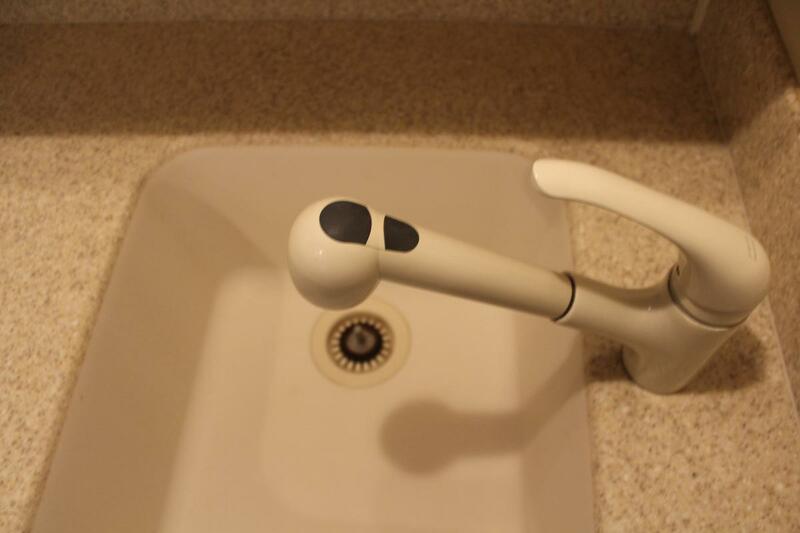 Entire restoration was done with consideration of the original design and functionality. 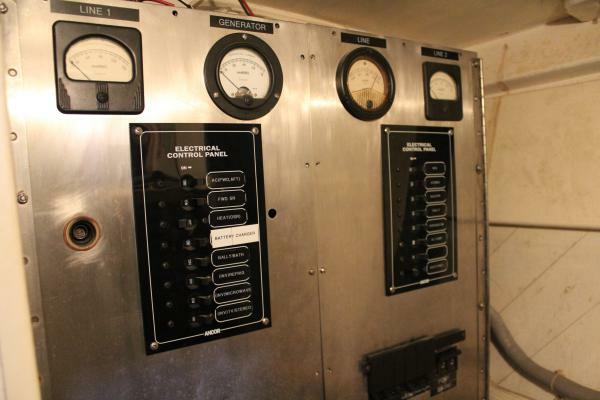 All systems are operational (A/C's and heads). 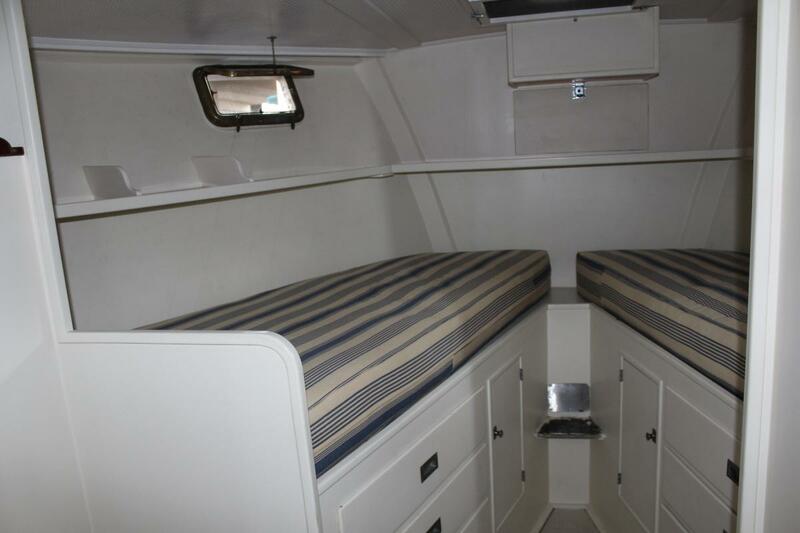 The re-built 6-71 Ns GM/Detroit are operational and are rated 225 hp each. 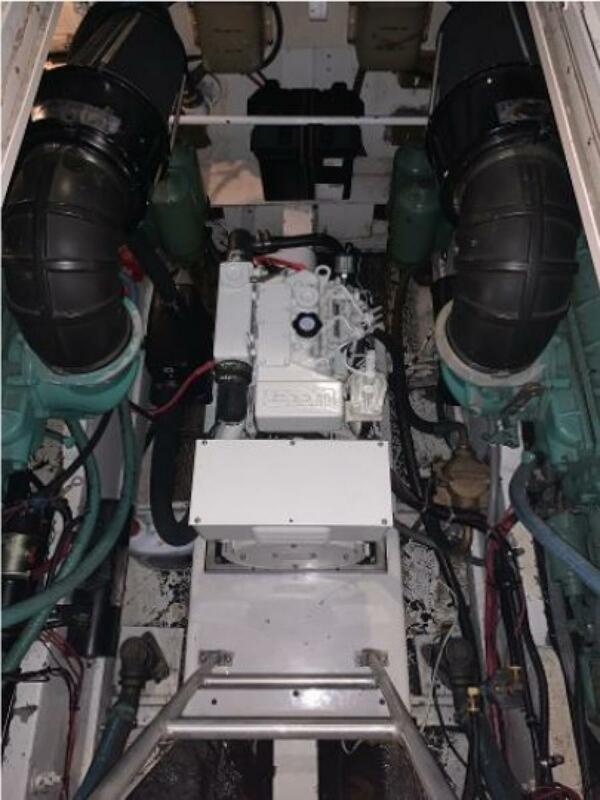 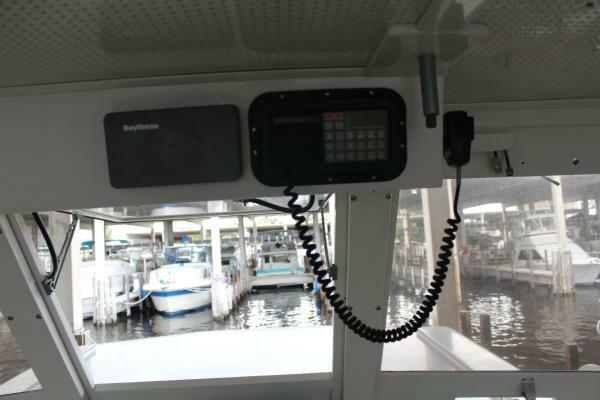 New Northern Lights 6KW Gen. and new Raritan installed in the master stateroom aft by Lambs Yacht Center this year.